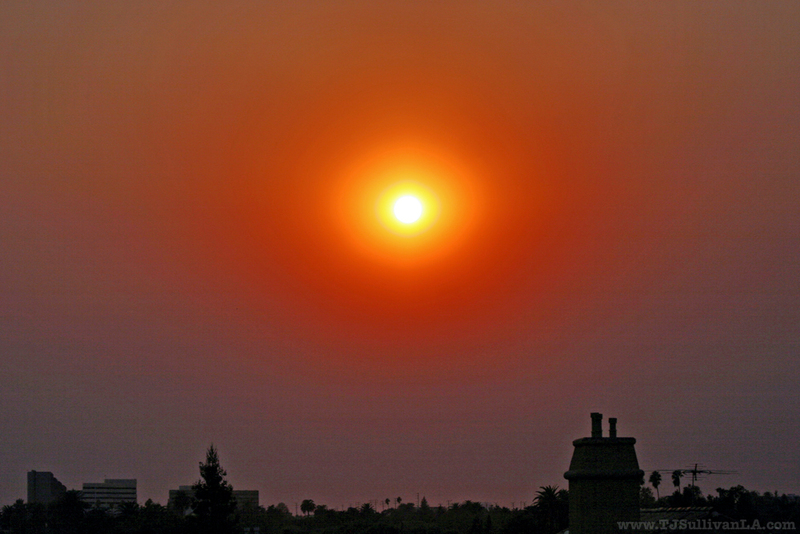 We can't see the smoke plumes or smell the smoke on the Westside, but the sun is that same fire-orange color it always gets when there are big fires burning anywhere in Southern California. * UPDATE: After sunset, as the air cooled, the smell of the smoke, unfortunately, arrived. Previous blog post: Drop, Cover, and Hold On!